Andy joined NAI Harcourts from a business banking background in our Sales & Leasing position with a sound knowledge of commercial leases and a strong financial focus. Andy specialises in commercial sales and leasing with the aim to provide great outcomes and a professional experience for his clients. In the role of Payroll & Accounts for NAI Harcourts, Kim is responsible for managing the office systems for the company to ensure consistency of service delivery statewide. With qualifications both in the sales and property management industries, Kim has daily interaction with owners, buyers, landlords and tenants in addition to regular contact with solicitors and accounting teams. 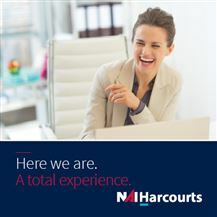 Previously one of Harcourts longest serving staff members in Tasmania, Kim's move to NAI Harcourts enables her to focus solely on commercial real estate and continue to develop new skills to assist in promoting the NAI Harcourts brand. Kim's keen sense of the intricacies of each department, coupled with her knowledge and ability to adapt within her career has made her a highly valued member of the NAI Harcourts team. Nick joined the NAI Harcourts team in 2018 and brings with him years of experience in the Commercial Sales and Leasing space. His negotiation skills and ability to understand his client needs, combined with his passion for sourcing and securing strong investment, has provided great outcomes for his clients. Prior to his career in the real estate industry Nick worked in both small business and large corporate production environments. 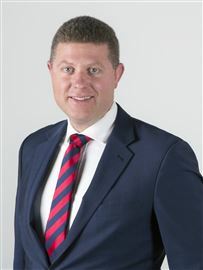 Being raised in the Launceston area, he has a thorough knowledge of the area and market. Nick’s honest service, communication and professionalism has enabled him to build strong relationships and establish clients for life. He looks forward to meeting new and past clients to secure their commercial sales and leasing requirements. 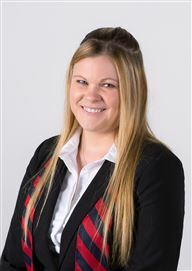 Olivia joined the team in 2018 after relocating from Devonport, where she has worked in the real estate industry since leaving school at 16 years old. She has many years of industry experience and as the team’s office assistant she provides support for our property management, sales and leasing departments. 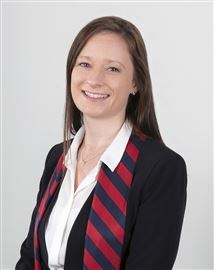 Olivia also holds her Property Representative Licence and maintains a strong desire to develop her knowledge and forge a career within the commercial real estate sector. She prides herself on delivering excellent client service and is a valuable member of the NAI Harcourts team. Tina commenced with NAI Harcourts in 2013. She brings to the team more than 20 years’ experience in office management, including 13 years in the real estate industry and holds a Diploma of Property Services (Agency Management). Her real estate career includes experience in residential through to commercial sales, leasing and property management. As the Business Manager, Tina is responsible for the overall financial performance, growth and stability of the business. Her skills in leadership and mentoring have enabled her to build a strong team and establish lasting relationships with clients. A firm proponent of service before profit, Tina is a highly valued member of the Harcourts group living the company values through her actions each day.